It really irritates me when I know that I have written something in the past and, because of all the blog posts I have written, I am unable to find that post. Not even sure what word to search for . . .
Ah well, such is life, I suppose. In any event, I recall that, at some point during the life of this blog, I heard a podcast where someone mentioned that it seemed as though paranormal episodes and sightings were down, as though the Otherside were taking a little break. Whoever I was listening to conjectured that whatever is responsible for paranormal activity in the broadest sense (everything from UFO’s to ghosts and monsters) was getting bored with us and that, maybe, activity was just petering out. My comment at the time was something along the line of there being no folkloric support for the Otherside walking away from humans and that I suspected that those powers were simply cooking up something new to “mess with us”. Well, it seems that, rather than cooking up something new, the Otherworld has simply rotated its stock and suddenly, we are seeing an influx of sightings of what some call Thunderbirds and, better yet, living pterosaurs. Linda Godfrey, best known for her Dogman/Manwolf research, has commented on social media that she is getting more big bird sightings than anything else since the publication of her recent book, American Monsters: A History of Monster Lore, Legends and Sightings in North America and I’ve noticed a distinct uptick in winged creature sightings on Lon Strickler’s Phantoms and Monsters. Mr. Strickler has also been tracking sightings of a something that distinctly resembles a glowing, flying manta ray. He is not even sure whether he should call it a UFO or a cryptic. It seems that monster hunters are going to have to join the UFO community in keeping an eye on the sky. Now, it is my usual custom on this blog to present a phenomenon and then try to offer a magical explanation for that phenomenon. There are some phenomena though that make this extremely difficult since said phenomena are manifesting in different ways and require multiple explanations. A good example of this is the cattle mutilation phenomenon. In my review of a recent book on those incidents, I stated flatly that no one magical explanation seemed to fit the facts in these cases and that the obvious imposition of human agencies into the events made interpretation fraught with peril. I see much the same thing with the recent wave of flying creatures and I return to my theory that certain agencies in the Otherworld are seeking to “mess with us”. By presenting us with multi-layered phenomena, these agencies are preventing human beings from coming up with any sort of universal field theory of the paranormal. 1) Thunderbirds – I will define these as abnormally large birds (many times described as the size of a small airplane) that often seem to resemble raptors or very large crows or ravens. These creatures seem to be something that the Native people of this country recognize (much as they recognize Sasquatch) so, were I a field investigator, I would turn to the Native peoples for their thoughts on these giant birds. I will also note that everything that exists in our world or has existed still exists in the Other but the translation from one world to the next can result in interesting variations in size. Thus the stories of little people, just like ourselves only much tinier, and, perhaps, the sightings of giant birds in our world. 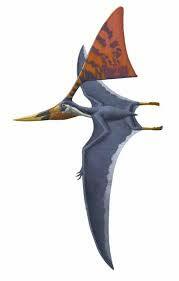 2) Pterosaurs – we have a fossil record of this creature but it is supposed to have been extinct for millions of years, in this world. Again, everything that exists in this world or has existed still exists in the Otherworld, including dinosaurs, saber toothed cats and even mammoths. Time has no meaning for the Otherside so, again, it is quite possible that specific window areas are intersecting with places in the Otherworld where these critters exist and, viola’, modern day pterosaur sightings. The TV show Primeval, with its anomalies, is, I suspect, not that far off the mark. 3) Winged humanoids – I rather suspect that these beings may be spirits who have manifested on this plane. Remember that it is quite possible for a being, if it can develop sufficient energy and skill, to manifest from the astral, through the etheric, where it takes on a form of sorts, and into our world. Given the general creepiness associated with most flying humanoid sightings, I would place these creatures in the strong and intelligent parasite realm and suspect that they are feeding off the emotional responses they engender. I do not claim that any of these remarks are definitive. 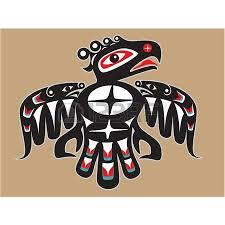 A thunderbird could be a manifesting spirit and a flying humanoid could be a failed evolutionary experiment from an alternate human time line. Any of these beings could be artificially created entities constructed by magicians on this plane or in the Otherworld. I wonder, too, if some of the Powers That Be are not simply putting these things in our path to keep us from getting too complacent in our little scientific, materialist world view.